Fall is a lovely season until you have to deal with the piles of dried leaves in the garden. This kind of cleanup is never easy. However, if you can choose the right leaf blowers that will suit your needs, cleaning will be a breeze for you. For this post, we have created a list for all homeowners looking for the right leaf blower to buy. Here are the top 10 best leaf blowers that you can find in the market. Dewalt is a reputable manufacturer, and the first product in our list is one of their best-selling items. This brushless motor allows you to make the most out of the efficiency and durability of the powerful motor. It features an innovative axial fan design that can provide optimal air output and runtime. Its 400 CFM and 90 MPH performance is suitable for any average-sized garden most homeowners have. The blower has a variable trigger and speed lock. We like that it’s lightweight and it features an ergonomic design. In that way, even if you work for extended hours, it will not cause discomfort to your hands and minimize the pressure in your arms. The package includes 20X maximum 5.0Ah Lithium-Ion battery along with a charger. Hitachi is well-known for manufacturing quality outdoor equipment. This handheld leaf blower is one of their best-selling items in the market so far. It’s lightweight and portable, yet it is powered by a 2-stroke engine that can produce up to 441 cfm in 170 mph. The unit is well-balanced for a more comfortable grip and lesser fatigue after using the product. Its 23.9 cc commercial grade two-stroke engine is designed to provide excellent performance and longer lifespan. The large two-finger throttle lever allows you to operate the unit with ease. It also features PureFire low emission two-stroke engine technology for a better environment. The unit comes with a tapered nozzle, and its long flex tube can reach narrower points. Buyers can enjoy up to 7-year limited warranty upon purchasing the product. A backpack blower is suitable if you have to clean larger gardens thanks to its extended power and durability. This product is from Poulan Pro that uses mixed fuel. It is the combination of fuel stabilizer, gasoline, and synthetic oil. In that way, you can enjoy improved lubrication, reduced smoke, and also helps to minimize engine deposits. This product is built to last for a long time. 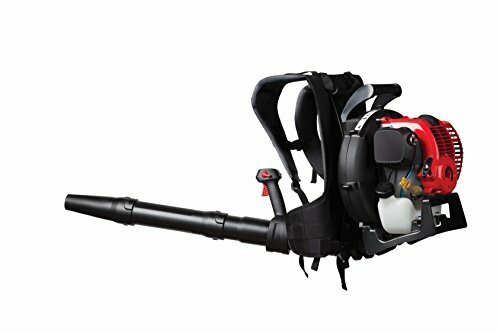 The backpack blower is powered by a 48CC two-stroke engine and can operate 200 mph/ 475 cfm. It also features cruise control and variable speed throttle control for better maneuverability. A heavy-duty frame is an ideal option for rugged use even in a regular basis. 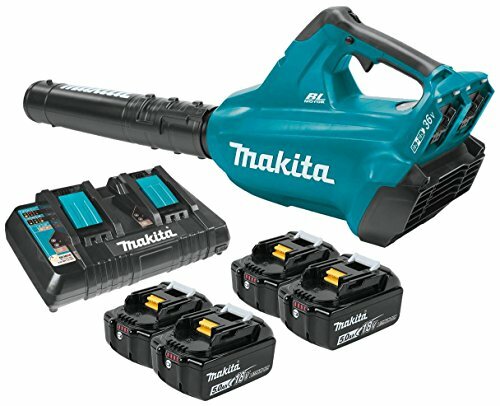 Next, we have the Makita cordless blower. 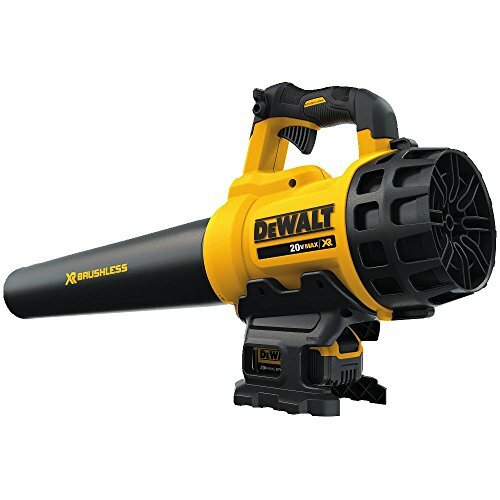 If you are looking for a leaf blower for professional use, you might want to consider this product. Professional landscapers nowadays prefer a cordless leaf blower because of the convenience that it can provide. The brushless blower from Makita delivers a longer run time compared to a conventional leaf blower. It also consumes up to 50% less battery to help you save energy in the long run. You can also increase the speed and power when needed. Since there are no carbon brushes, rest assured that the Makita brushless motor is way cooler and can even last for a long time. This unit also features extreme protection thanks to its durable housing. 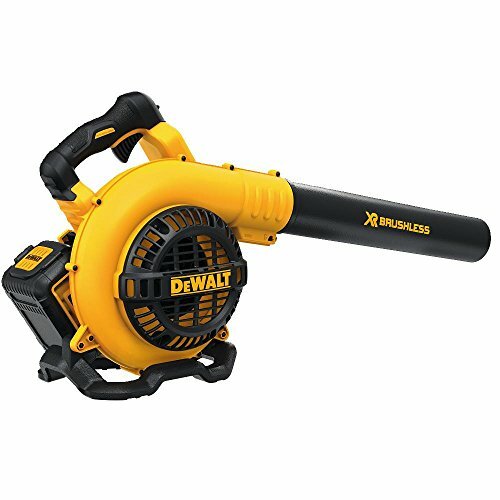 For those who are looking for weatherproof leaf blower that’s perfect for heavy-duty use, you should consider this product. The Husqvarna leaf blower is lightweight with integrated backpack harness for your landscaping needs. It’s an ideal option for both homeowners and professional landscapers. The 2.1 HP X-torq engine helps to reduce the harmful exhaust emissions and increase the efficiency of fuel. Its idling speed can reach up to 2200 rpm. It’s comfortable to use, well-ventilated and load-reducing harness with hip belt and wide shoulder straps is ideal for long hours of work. The fan speed can be set for easier handling. The air purse will remove the air from the fuel system that allows you to start the system with ease. Buyers can enjoy up to 4-year limited warranty upon purchasing the product. The second product we’re going to feature from Dewalt is their all-new Ah Lithium brushless blower. The package includes 40V maximum 4,0Ah Lithium Ion battery that comes with a battery. For a noise-free operation, this unit is powered by a brushless motor under 65 dB. The full variable trigger will allow you to control the level of speed and noise when using the unit. Its Xenon housing provides superior durability compared to the previous products that we’ve reviewed. With an airspeed of 120 mph and air volume of 400 cfm, cleaning your entire garden is a breeze. The comfort grip handle will ensure you that the unit will not cause stress to your arms even when using the product for an extended period of hours. 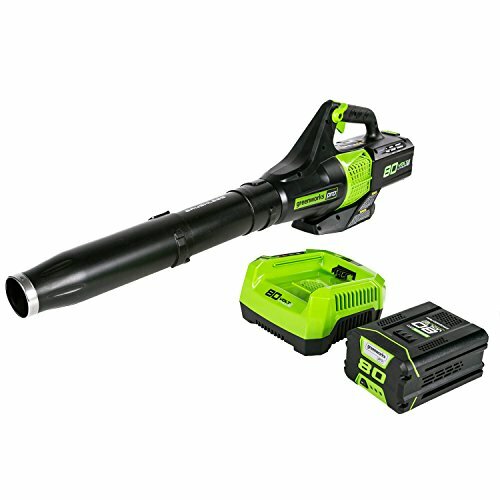 Check out this cordless jet blower from Greenworks. Now you can finish your project in just 22-minute runtime on high thanks to its 2.5Ah battery. It also features a powerful brushless motor and turbo button that provides up to 580 cfm at 145 mph. It is also ideal for homeowners who are looking for a noise-free leaf blower to use. Its durable housing is engineered to last for a long time. Now you can reduce the fatigue when using the unit thanks to its over mold grip, variable speed trigger, and cruise control. In just 40 minutes, you can fully recharge the product, and it’s ready to use again. Buyers can enjoy up to 4-year limited warranty upon purchasing the product. For those who are looking for a leaf blower that they can use for commercial purposes, do not worry because we have prepared something for you as well. 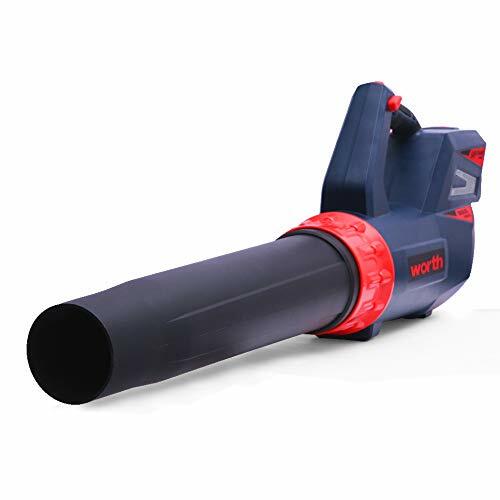 Introducing the upgraded cordless leaf blower from Worth. 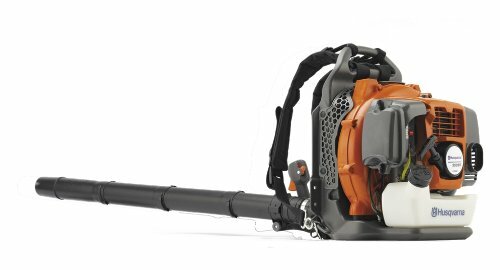 This all-new leaf blower can cover a larger area of ground in lesser time. You don’t need to use an extension cord anymore. The package includes Lithium battery and charger as well. 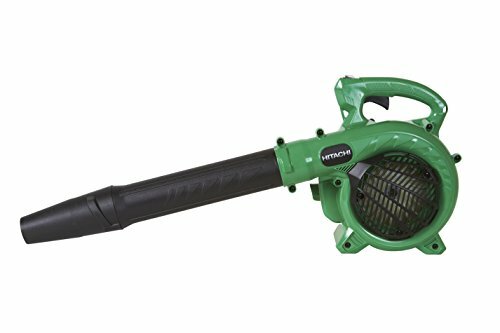 The rapid charge Lithium cordless leaf blower will make cleaning your garden, patio, or any area covered with leaves much easier. You don’t need to hassle yourself with the cords or dealing with heavy tools anymore. The double run time of competition is easy to carry and store when not in use. Since this product is lightweight, it minimizes the stress on your arms even if you are using the unit for more extended hours. 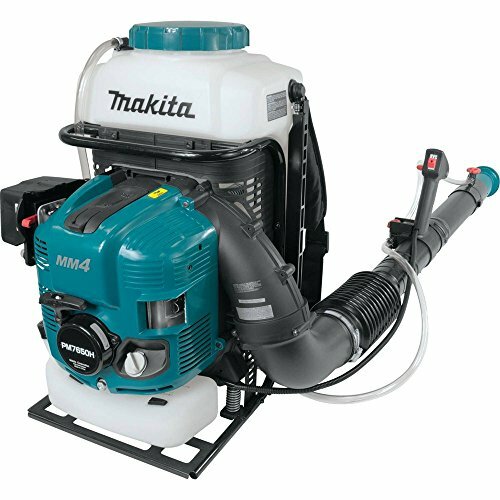 Another product from Makita is this powerful MM4 four-stroke engine mist blower. It’s a powerful and effective solution for landscape contractors and other professionals thanks to its superior durability engineered for commercial use. It features a large damper spring that’s installed between the engine and the frame. In that way, the vibration is lessened when you are using the product. It also has padded shoulder straps that retain their shape for easier re-shouldering. This handy feature can provide more comfort to you while using the unit. The large capacity air filter is replaceable and easy to access. Since it weighs approximately 13.3 pounds only, rest assured that it wouldn’t cause fatigue even for a longer run time. It’s easy to fuel and use again after you drain the fuel tank. The only leaf blower that utilizes a jumpstart technology is the backpack blower from Troy-Bilt. This gas blower is designed to be comfortable yet powerful enough to fulfill any of your landscaping needs. 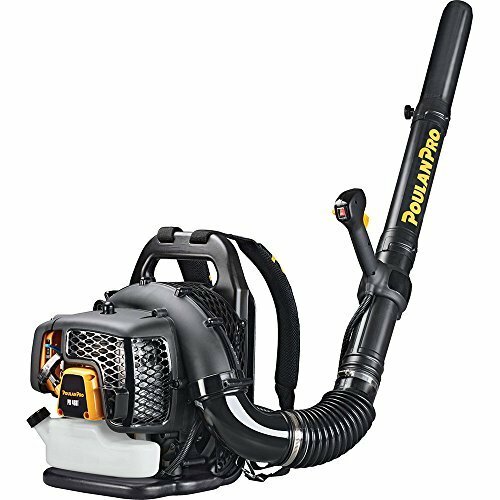 Its powerful motor can provide up to 150 mph airspeed and 500 cfm air volume in clearing up large chunks of debris and leaves in your garden. Furthermore, the fully-tension multi-material suspension system will distribute the weight evenly to your shoulders and hips. In that way, you wouldn’t experience fatigue even after using the unit for more extended hours. It has padded hip belt for added comfort and reduced pressure points. The long flex tube will also allow you to reach hard-to-access areas and makes cleaning a lot easier.